About Us | SCS Hardwood Floors, Inc.
SCS Hardwood Floors, Inc. is a family owned and operated business. 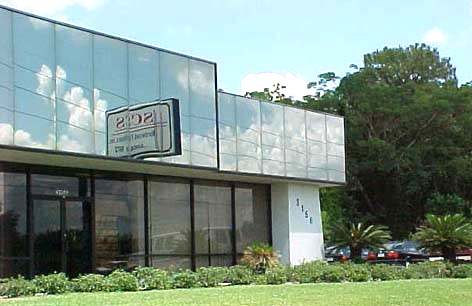 Allen Beverly, Sr. opened the first showroom in 1974 with the concept that quality is better than quantity. By the late 70’s, early 80’s hardwood floors became highly sought after and SCS quickly became the go to company for homeowners, business owners and builders. As the wood flooring industry evolved, so did SCS, maintaining the high quality of service provided to its customers. Today, Allen’s son, Leonard, owns and operates the business along with Terry Wagner, who manages and handles purchasing of over 75 manufacturers, and Adrian Pinheiro, who has over 15 years of installation experience; with the same concept that his father did…QUALITY is more important than quantity. Together they collectively have 50+ years of experience in dealing with wood flooring. SCS continues to follow the highest standards in the wood flooring industry today. We do not cut corners, over charge or try to sell you something that you do not need. We continually strive to bring you the finest options of wood flooring in the industry. We pride ourselves in our work and our craftsmanship. We strive to bring our customers a high quality product, quality craftsmanship and professional and friendly service, from the estimate to the completion of the project and beyond. Some of our clientele includes the likes of Walt Disney World, Universal Studios, Hard Rock (Tampa), local celebrity homes, custom builders and thousands of residential properties throughout the greater Orlando area. Our 2,000 square foot showroom, located off John Young Parkway (just North of Silver Star Road), provides our customers the opportunity to see hundreds of samples to choose from, including color, manufacturer, species, engineered, and solid hardwood. If you can dream it, SCS can help make it a reality.